To celebrate the Mid Autumn Festival, SM City East Ortigas and Chan Lim Family of Artists and Students have prepared 135 hand painted fans. The exhibit is joined by 42 artists showcasing their culture and artistry. This is a very beautiful way of encouraging the creativuty and artistic side of anyone. 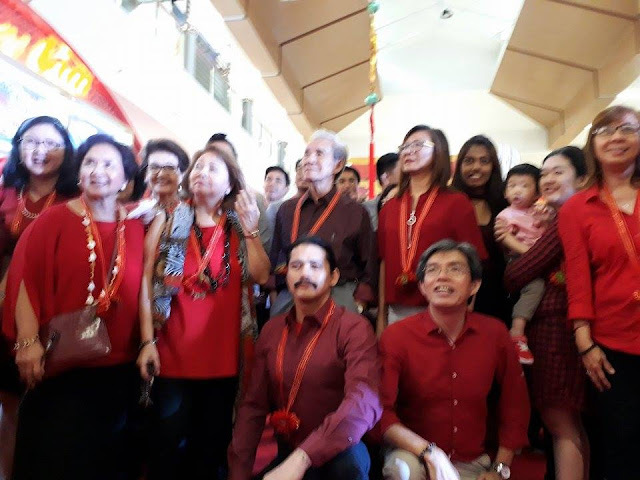 Chan Lim Family Exhibit was supported by no less than Robin Padilla on its opening day. It will run from August 27 to September 24, 2017. Chan Lim, the family patriarch, originally dabbed mostly in Oil and Watercolor. Most of his art are on canvas. He recently ventured into other types of media such as ceramic and porcelain plates. Asian lanterns and fans to blend Western and Eastern techniques. The second generation of Chan Lims, Alex, Felix, Rolex, and Jolex, are all engineers by profession and are engaged in leadership position with multinational companies. The Chan Lim family of Artists has traveled extensively across the Philippine Islands to conduct numerous art exhibits, classes, workshops, seminars, and on-the-spot painting demonstrations. Several thousands of people have attended these activities. The entire family have joined several art exhibits locally and internationally. The third generation of Chan Lims reveal in exploring different types of modern techniques, such as digital media and apps, and incorporate these into theirbart.